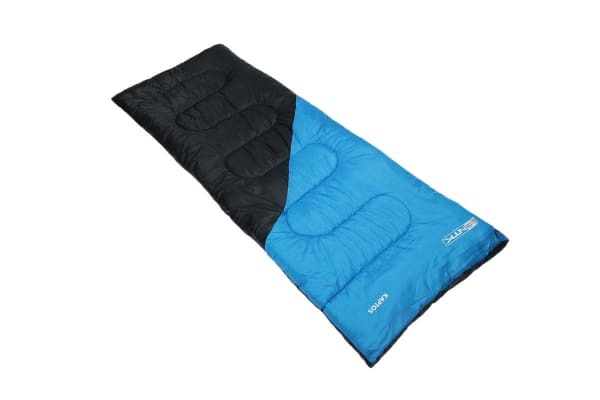 Sleep in comfort through the elements. 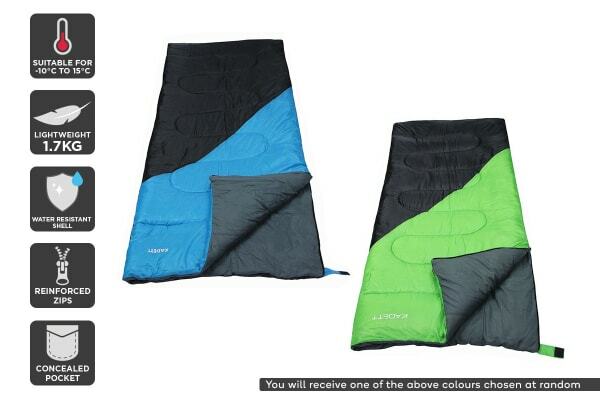 Feel cosy, snug and warm even in the extreme cold with this thermal sleeping you bag, helping you to sleep without the shivers in external temperatures up to -10°C. 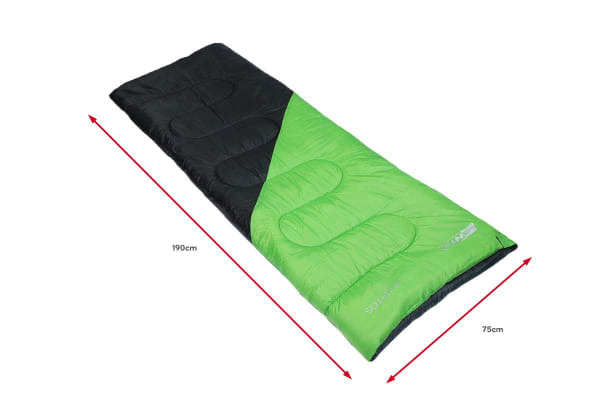 Built to keep you warm and comfy in cold temperatures, the NTK -10°C Thermal Sleeping Bag is the ultimate companion for camping trips during the cooler months. Feel protected with a soft to touch yet sturdy poly-cotton lining and ripstop water resistant exterior, helping to shield you against the elements. *Please note that customers will receive one of either colour combination sleeping bag. Colour combination cannot be requested.